Fermentedly Challenged: River North to Release Blended "Barrel Reserve 2013"
River North to Release Blended "Barrel Reserve 2013"
After gaining notoriety for their barrel-aged beers, producing seven unique concoctions in the first year of operation, the alchemists at River North decided to kick it up a notch for the brewery’s eighth barrel release. 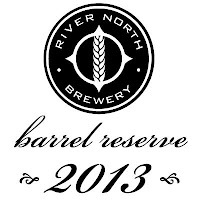 Blending several whiskey-aged beers, River North’s brewers created a 100% barrel-aged combination known simply as Barrel Reserve 2013. The most complex River North Brewery release to date, this beer is for the true connoisseur. It can be enjoyed fresh or aged up to five years. 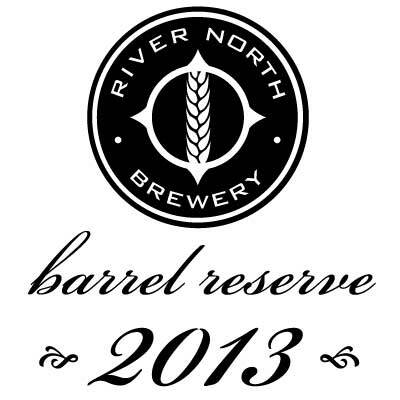 Barrel Reserve 2013 will release on Saturday, March 23rd at 1pm at the brewery taproom, when both draft pours and bombers-to-go will be available. Only 120 cases were produced of this one-time release. The brewery plans to release a new Barrel Reserve once each year, but no two blends will ever be the same. The week after the release party, River North will distribute a limited supply of bottles to the Denver Metro area. Matt and Jessica Hess opened River North Brewery in downtown Denver on February 18th, 2012. Matt, who walked away from his engineering job in the aerospace industry, heads the brewing operation and focuses on Belgian-style beers and Belgo-American hybrids. The brewery also hosts an ever-growing barrel program, aging brews in whiskey, wine or rum barrels of varying styles. Aside from cranking out creative and unique beers, River North Brewery has cemented itself in Denver’s new beer district, RiNo, establishing close and personal relationships with local residents and businesses. In addition to promoting a “drink local” mentality, River North connects with customers through social media. The brewery hosted a Twitter contest where River North Breweryfollowers could submit suggestions for fermenter names, with the winning suggestions going on the tanks. The two winners: “Think Tank” and “The Louis Pasteur Cultural Events Center.” River North Brewery produced 295 barrels in 2012, a number expected to triple this year. - River North Brewery to celebrate 1st anniversary. - Black Bottle Brewery opens to a full house.